One of the most important parts of your home are its windows. Windows can keep your property at a comfortable temperature level and can protect it from the elements. This is why it can be so important to replace them if you realize they are not working as efficiently as they should be. There are a lot of Los Altos, CA replacement window options, so you should take the time to learn about what you have available. The first thing to consider is the material that you prefer your windows to be made from. The most common options are fiberglass, wood, vinyl, and aluminum. What works for one person may not work for you, so it can be important to read up on these options to decide what is best for your home. Fiberglass is the sturdiest of the materials, and it is extremely energy efficient, while wood is the classic material. Wood can be stained any color you wish and it lends a warm and appealing look to your home. Vinyl is low maintenance and costs a bit less than other option, but it does have less color choices. Something else to keep in mind is that there are style differences in windows. 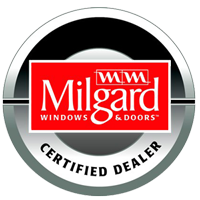 There are double hung, single hung, casement windows, slider, awning, bow, and bay windows to choose from. The style you choose will depend on the style of the home you have as well as on how much you want to spend. Some of these options, like bay windows, are more difficult to install and so therefore will cost more and will take more time. Awnings, as well as some other options, open outward, which might not be what you want. All of this needs to be taken into consideration before deciding on what is best for your home. Customized options are also available, though not every company will be able to provide them. For irregularly sized spaces or for windows that are of a complicated shape that is not standard, the best thing you can do is search for a company that offers these services. Call the ones you are considering to ask if they can provide the options you need. Do not waste your time with a company that is not sure whether they can make customized options if that is what you want. 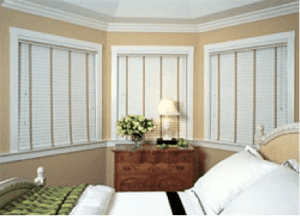 If you are searching for replacement windows in Los Altos, CA, you will want to first learn all you can about the window options available these days. Ask lots of questions and be sure to get a price list so that you know what to expect, financially. When you do your research, be sure to also look up the standard rates for the options you want, since this will give you a good idea whether a company is being fair or is overcharging you. Contact a reputable company like My Window & Door Solutions to get started. Find them at 1510 Oakland Rd., Suite 130 San Jose, CA 95112 or call them at (408) 437-6274.